The acclaimed author who put bread back into Paleo and extraordinary taste back into gluten-free baking with her bestselling cookbook Every Last Crumb has done it again! Brittany Angell encores with Every Last Bite—an all-encompassing cookbook that carries over her distinct brand of nutrition and the "have your cake and eat it too" philosophy for which she is loved. Every Last Bite draws upon Angell's many years of experience and proven success in creating recipes tailored to those with food allergies and other dietary restrictions but goes a step further, offering a customizable approach for unique dietary needs and tastes in a format that is easy to follow and suitable for home cooks of all skill levels. 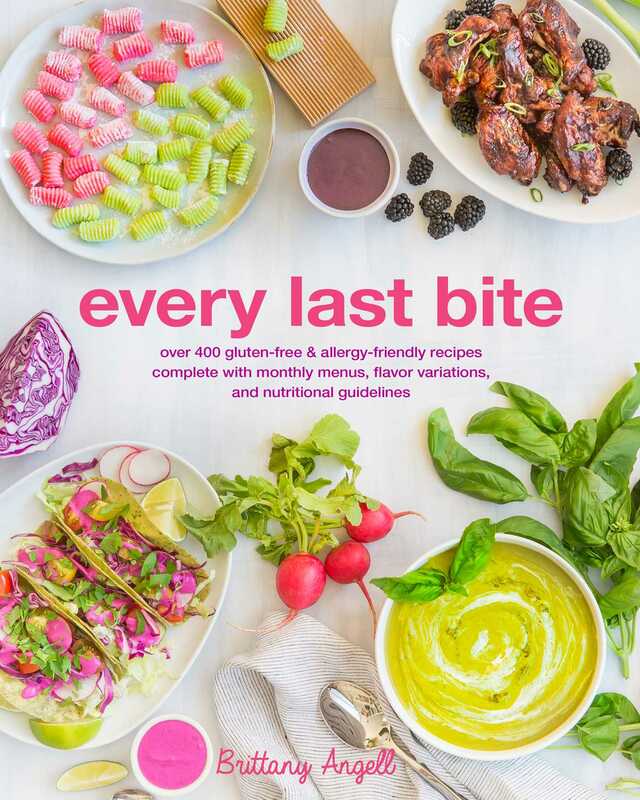 Every Last Bite is packed with over 400 mouthwatering recipes, many of which are grain-free, egg-free, nut-free, dairy-free, and/or yeast-free. Angell provides a range of appealing options that complement a number of existing nutritional programs and diets, including Paleo, Autoimmune Protocol (AIP), Low-Carb &amp; Ketogenic, the 21-Day Sugar Detox, and the Candida Diet. The book also includes monthly menus and dietary guideline breakdowns for each style of eating, giving you the tools you need to stay on track and remain inspired to follow your perfect diet. Every Last Bite contains breakfast, lunch, dinner, dessert, and snack recipes as well as meals for holidays and other special occasions. Many of the recipes offer flavor variations and substitution guidelines, enabling you to create recipes that you can truly call your own. Every Last Bite is complete with baking tutorials, measuring tips, a wide variety of oven-to-table recipes that can be prepared in 30 minutes or less, make-ahead options, and full-color photos. It is sure to become a staple in your kitchen!